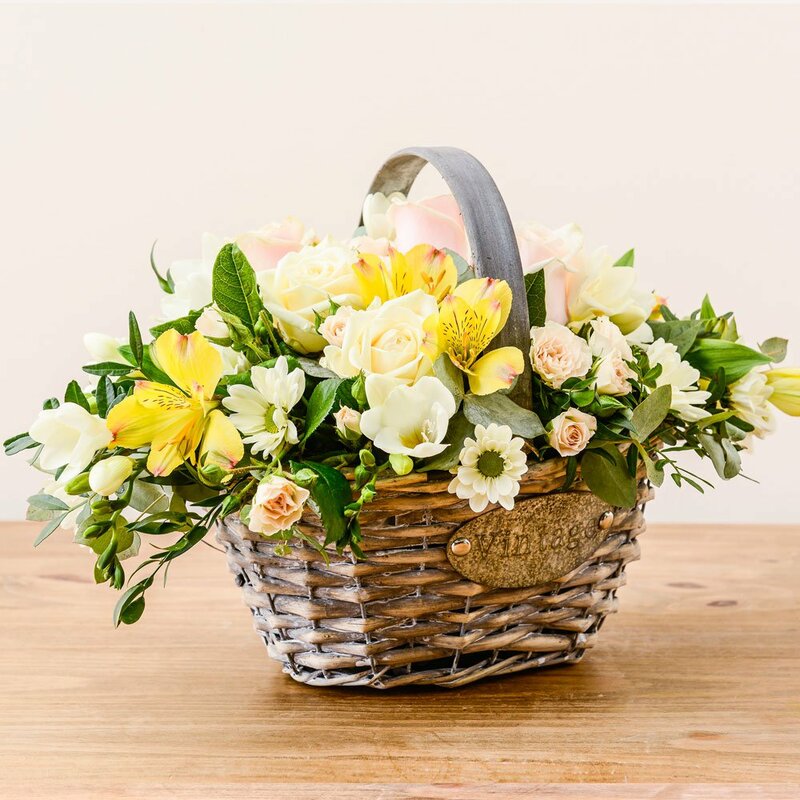 At Beauty Of Flowers we are delighted to present this product available for flower delivery in Derby or surrounding areas or collection from our Derby City Centre store. This elegant, pretty and scented basket comes in shades of yellow and white, but can be made in your own choice of colours using the best seasonally available flowers and foliage from all over the world. Using flowers that come naturally scented this arrangement is truly wonderful. Already arranged in oasis this basket is ideal for many occasions when minimal attention is wanted. All these items are available as an add on to any flowers order.